From 3–5 September 2014, Keeping Children Safe (KCS) held an international conference in Cape Town to promote the Child Safeguarding Standards. As part of the conference programme, PRI – represented by Alison Hannah, PRI’s Executive Director and Jenny Clarkin, PRI Programme Officer – co-organised the launch of the African Committee of Experts on the Rights and Welfare of the Child’s (ACERWC) first General Comment, which addresses the protection of children of imprisoned parents. Children with parents in prison are among the most vulnerable groups of children, and the impact on their rights and welfare remains largely unacknowledged in the criminal justice system. Children often fall through the cracks created by poor social welfare provision, wholly inadequate protection for children living in prisons – almost always with their mothers – and lack of clarity in law, policy and procedure as to how to respond to them in a way that acts in their best interests. Research confirms the damaging effect on children when a parent is imprisoned. In England research found that 65% of boys with a convicted parent went on to offend in later life. Another study in four European countries suggested that children with a parent in prison may be up to two and a half times more likely than other children to experience mental health problems. In the USA a recent study found that having a parent in prison can be more detrimental to a child’s well-being than divorce or death of a parent. These children are very vulnerable and at risk and the General Comment provides valuable guidelines for protecting their rights. The General Comment (relating to Article 30 of the African Charter on the Rights and Welfare of the Child) is a unique provision in human rights law. It recognises that children with a parent in prison are likely to face financial and material hardship, psychological damage and social stigma. It calls for non-custodial sanctions to be considered first when sentencing a parent or caregiver. If a custodial sentence is being considered, the court should find out if the offender is a primary caregiver and consider the effect of a prison sentence on the children concerned. Where a range of sentences are appropriate, the court must use the principle of the best interests of the child as an important guide in deciding which sentence to impose. Courts should also consider childcare responsibilities in deciding whether to impose pre-trial detention as these may be a good indication that the defendant is unlikely to abscond. PRI supports and welcomes General Comment 1. It was particularly appropriate that the General Comment was launched in South Africa because it was a ground-breaking judgment by Judge Albie Sachs that first raised this issue when he held that he could not sentence a woman to prison without considering the effect this would have on her children. 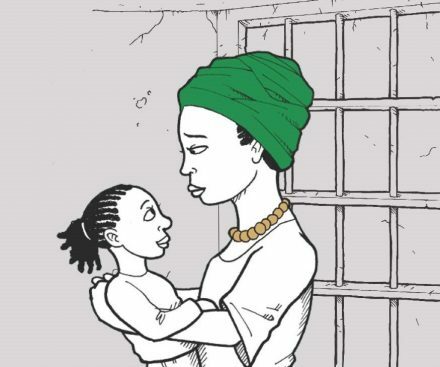 PRI hopes to work with the ACERWC and other organisations to promote this guidance and carry out further research and advocacy to protect the rights of this overlooked minority within the criminal justice system. The full text of the Comment is now available from the Committee’s website in English, French and Arabic. For a short introduction to the General Comment, see this short illustrated summary produced by the ACERWC with PRI. Also available in English, French and Arabic. Keeping Children Safe is a network of organisations working together to ensure children globally are safeguarded and protected from all forms of violence, abuse and exploitation. It was founded in response to growing recognition of the risks to children from exploitation or abuse by aid and development programme staff and associates; or from poorly designed or managed programmes, which do not deliver the services intended.